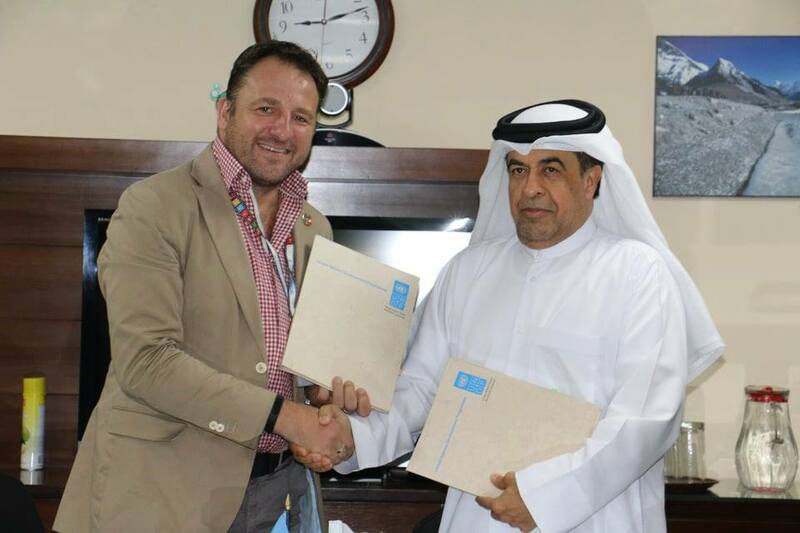 KATHMANDU, July 7: The Qatar Red Crescent and the United Nations Development Programme (UNDP) in Nepal today signed an agreement to rehabilitate and rebuild community infrastructure and facilities in Gorkha. The Community Water, Sanitation and Hygiene Improvement Projectaims at enhancing the access of approximately 10,000 earthquake-affected people to improved community infrastructure and services. The total budget of the project is NRs 36.8 million (US$ 335,330), out of which Qatar Red Crescent will contribute NRs 16.5 million (US $150,000), UNDP NRs. 3.3 million (US $30,000) and the Gorkha Municipality and communities NRs. 17 million (US $155,370). The project includes construction of two irrigation schemes, a drinking water system, a school building, a health post and over 200 toilets and putting in place a hospital waste management system. The project is complementary to the planned interventions of the local government and coordinated by the concerned ward chairs of the Gorkhamunicipality. “We would like to thank Qatar Red Crescent and UNDP for their support to the community infrastructure projects, which will be implemented with full participation, leadership and ownership of local communities. The Gorkha municipality and the local people are contributingalmost half of the total budget,” Rajan Raj Panta, Mayor, Gorkha Municipality.